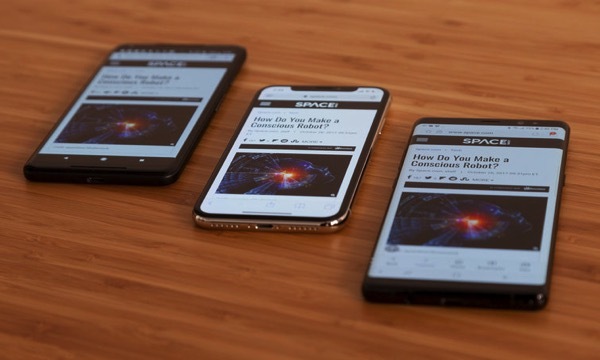 With the launch of its anniversary edition iPhone X featuring an all-new OLED display, Apple has joined the ranks of Samsung and LG, both of which have been putting the display technology in their phones for past many years. 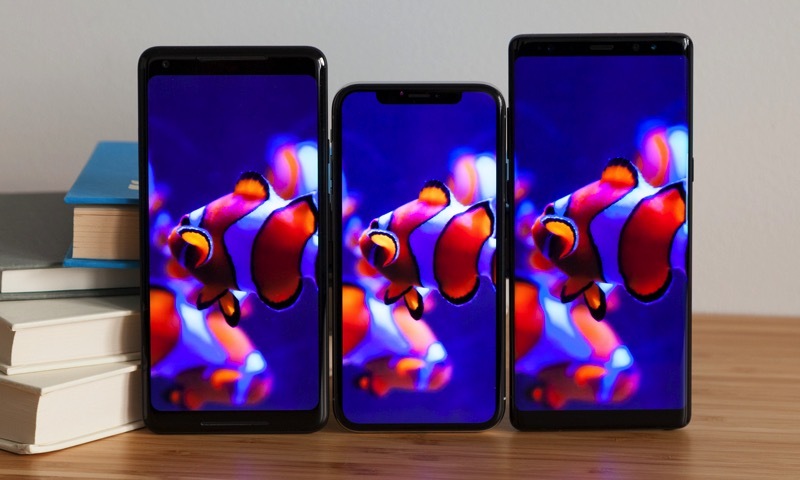 In order to find out how Apple’s efforts compare to its two closest competitors, Tom’s Guide has pitted the iPhone X’s OLED display against that of the Samsung Galaxy Note 8 and the Google Pixel 2 XL. While brightness is a key component of any display, it’s especially important on OLED panels. The experts found that the iPhone X was far and away the brightness leader, recording 574 nits, while Google’s and Samsung’s best efforts could reach only 438 and 408 nits, respectively. 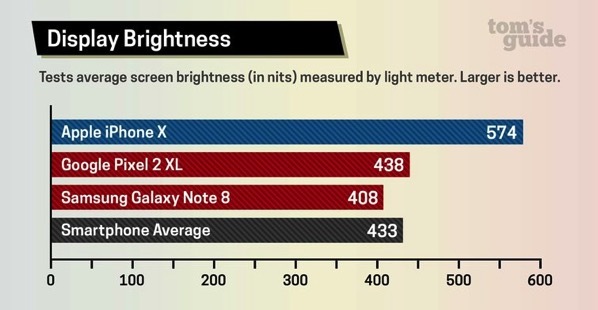 For reference, the smartphone brightness average is 433 nits. The reviewers noticed that the iPhone X struck a balance between the Note 8 and Pixel 2 in terms of color representation. 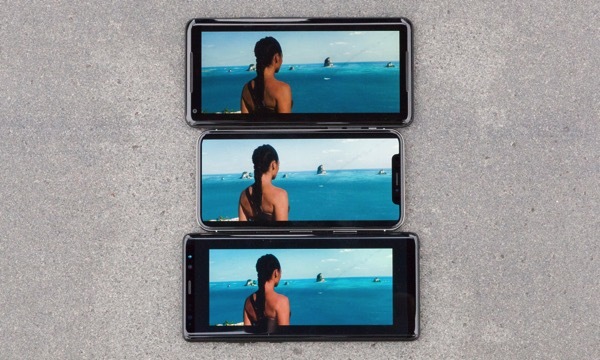 Comparing a still image from Wonder Woman on all three displays (shown below), the Samsung quickly re-confirmed its reputation for oversaturated hues. 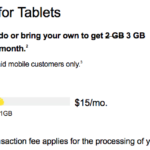 In terms of realism, the Pixel 2 XL is a more worthy adversary. “Ultimately, the iPhone X took the victory here, as it better handled the contrast between the sky and water. The increased brightness also helped illuminate more of the shadowy details in the scene, like the braids in Wonder Woman’s hair”. Even with True Tone off, the iPhone X struck a perfect medium between the warmth of the Pixel 2 XL and the cool shift of the Note 8 in our office. Further testing also indicated that True Tone actually improves color accuracy on the iPhone X.
Apple’s panel does a way better job of maintaining its brightness as you tilt the phone from left to right, and top to bottom. It does get a few shades cooler as you turn it, but not quite to the degree of the Note 8, and definitely not to the extent of the Pixel 2 XL. If it’s realism you want, the iPhone X supremely bright screen and exquisite white balance provide a sense of color accuracy you simply don’t get from other handsets. But if you want hues that truly pop, the Galaxy Note 8 is still king. How excited are you to get your hands on the iPhone X tomorrow?